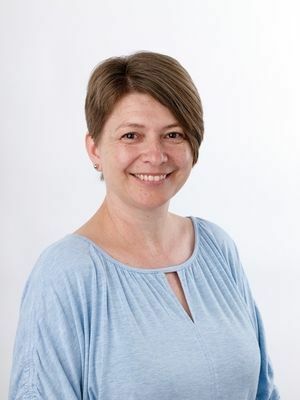 I'm Sarah and I'm a papercut artist from Kent, England. I specialise in creating colourful papercut landscapes by hand which are inspired by holidays and day trips to the coast and countryside as a child, and later with my own children. 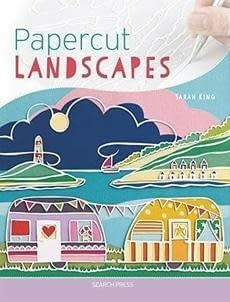 In this book I show you how to create colourful, contemporary papercut landscapes in my naive style. It contains information about tools and materials plus a range of templates, from half-hour cuts to immersive, nostalgic scenes with step-by-step instructions. The templates progress through the book and I add a new technique with every one, as well as tips to help papercutters design and create their own artworks. Ann Martin, who can be found at www.allthingspaper.net, featured my work in her blog which was picked up by an editor at Search Press. They approached me and of course I was pleased to accept the challenge! This is my first book and I found it a really enjoyable process. I created each artwork specially and found it interesting to examine my own processes in order to write about them. It's hard to choose a favourite, but I particularly enjoyed 'Love Blooms' which features a garden of poppies in different shades of reds and pinks beneath a summer sky. I also love 'Harbour Arches' as it's based on a familiar place, Ramsgate in Kent. This piece looks tricky because it appears detailed but it's fairly simple to cut and I think anyone who attempts it will be pleasantly surprised with their results! My craft space was the dining room! I have lots of interesting pictures and ornaments that I've collected from artist and crafter friends over the years, displayed on reclaimed wood shelving and in upcycled cupboards, so the room feels quite 'arty' and inspiring. I sit at the table, overlooking the garden, to create. It's my favourite room in the house! Yes - ever since I was a child I have always enjoyed creating and I've tried many different crafts including jewellery making, origami, crochet, card making, glass painting and more. When I was a child we spent the summer holidays with my grandma who enjoyed collecting and creating things. So my earliest memories are of making bottle gardens and building things from boxes and junk. Later on I made gifts for family - a glass painted bottle covered in poppies, a cross-stitched sea view and oven-dry clay Christmas wreaths stand out as pieces I was particularly proud of! In recent years, I have gifted wire-wrapped jewellery made from beach glass collected from the coast near my home. My inspiration comes from nostalgic memories of holidays and day trips to the British coast and countryside as a child, and then again with my own children. I find the seaside uplifting and enjoy reliving that feeling as I'm creating my art. In contrast to the full-colour works in my book, I'm also working on a range of delicate, single-coloured landscapes with a sketch-like feel to them. I am also going to be exhibiting some of my work in galleries later in the year and adding to my existing range of home-wares and merchandise. Bring back happy memories of your holidays by using paper and knife to create uplifting, joyful landscape scenes from the coast to the countryside.Papercutting is a perfect craft for beginners, as you can achieve amazing results with the most basic of materials - a pencil, eraser, craft knife or scalpel, a piece of paper and a cutting surface.Sarah's art encapsulates the beauty of the English countryside, particularly the towns and villages around the Kent coast where she lives. 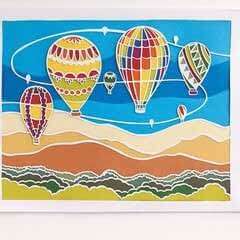 Her use of fresh, vibrant colours and delightful compositions evoke memories of happy times, and expert papercrafters as well as those new to papercutting will find the charming, naïve style of Sarah's work irresistible.Sarah's down-to-earth approach to her art makes it enjoyable and accessible to all. In the book she includes sections on choosing your materials and colours, and there is step-by-step guidance through all the basic techniques you need before embarking on the twelve gorgeous projects on the seaside, town life, the wilderness, and more.